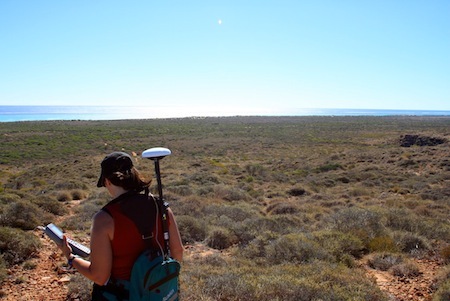 The Pliomax project is a multi-PI, multi-institution project with the goal of increasing the accuracy of global sea level estimates for the mid-Pliocene warm period, between 3.3 and 2.9 million years ago. Numerous proxy methods suggest that atmospheric CO2 levels at that time ranged between 350 and 400 ppm, a maximum value that was recently exceeded. Likewise, mean global surface temperature is estimated to have been 2-3°C greater than today. Thus, the mid-Pliocene warm period provides both a natural analogue for a higher CO2 world as well as a testing ground for climate and ice sheet models that are being used to predict the long-term response of Earth’s climate to increasing levels of greenhouse gases. However, our ability to calibrate and verify model performance under different CO2 and climate conditions is limited by the accuracy of available paleoclimate data and, in particular, our knowledge of past sea level (SL), a reflection of polar ice volume. Currently, few estimates of mid-Pliocene SL exist and they range from +5m to >+30m relative to present, reflecting a large range of uncertainty in the sensitivity of polar ice sheets, including the East Antarctic Ice Sheet, to a modest, ~2-3°C, global warming. The goal of the Pliomax project is to expand the database of nearshore Pliocene stratigraphic sections around the world and to improve the ice sheet and crustal deformation models used in the study of past and future climate change through data-model comparisons. Raymo et al. formulated a method for correcting ancient Pliocene shorelines for post-depositional isostatic changes. This decreases some of the observed variability in the global elevation database but Rovere et al. showed that long-term changes due to dynamic topography exert a huge influence on paleo-shoreline elevations, especially along the eastern seaboard of the United States (e.g. the Orangeburg Scarp). A growing database of Pliocene observations will help us evaluate the performance and accuracy of the current generation of mantle convection/dynamic topography models. In addition, the coupling of crustal deformation models with ice-sheet climate models being carried out by PIs Pollard, Mitrovica, and DeConto will lead to more realistic models of ice sheet evolution under varying climate states. PIs on the project include Jerry Mitrovica at Harvard, Rob DeConto at U. Mass Amherst, Dave Pollard at Penn State, and Paul Hearty at University of North Carolina in Wilmington. 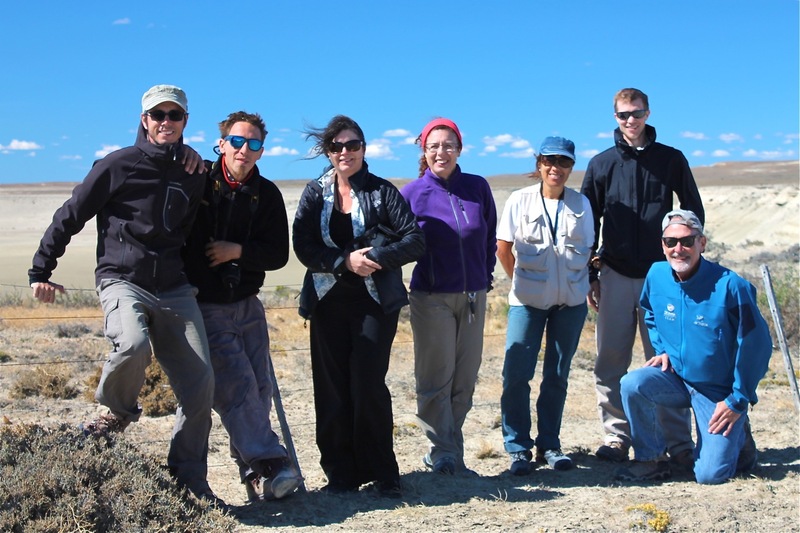 My former post-docs Alessio Rovere and Mick O’Leary continue to collaborate on this project and we also collaborate with field scientists in Europe, Africa, South America, and Australia. More info about the PLIOMAX project and our results can be found at www.pliomax.org. Dan Grossman and I also developed a web site for the general public, Sea Change, that explores how scientists study past sea level and why it matters. Dutton, A., A. E. Carlson, A. J. Long, G. A. Milne, P.U. Clark, R. DeConto, B. Horton, S. Rahmstorf, and M.E. Raymo, in press, Magnitude, rates and sources of sea-level rise associated with polar ice-sheet retreat during past warm periods, Science. Kemp, A.C., A. Dutton, and M. E. Raymo, in review, Paleo constraints on future sea-level rise, Current Climate Change Reports. Rovere, A., M.E. Raymo, J.X. Mitrovica, P.J. Hearty, M.J. O’Leary, and J.D. Inglis, 2014, The Mid-Pliocene sea-level conundrum: glacial isostasy, eustasy and dynamic topography, EPSL, v. 387, p. 27-33. Rovere, A., M. E. Raymo, M. J. O’Leary, and P. J. Hearty, 2012, Crowdsourcing in the Quaternary sea level community: insights from the Pliocene, Quat. Sci. Reviews, v. 56, p. 164-166. Raymo, M.E., P. Hearty, R. De Conto, M. O’Leary, H.J. Dowsett, M. Robinson, and J.X. Mitrovica, 2009, PLIOMAX: Pliocene maximum sea level project, PAGES News, v. 17, p. 58-59. Contentious observations of Pleistocene shoreline features on the tectonically stable islands of Bermuda and the Bahamas have suggested that sea level about 400,000 years ago was more than 20 metres higher than it is today. Geochronologic and geomorphic evidence indicates that these features formed during MIS11, an unusually long interglacial. Previous work has advanced two divergent hypotheses for these shoreline features: first, significant melting of the East Antarctic Ice Sheet, in addition to the collapse of the West Antarctic Ice Sheet and the Greenland Ice Sheet; or second, emplacement by a mega-tsunami during MIS 11. Raymo & Mitrovica  show that the elevations of these features are corrected downwards by ~10 meters when we account for post-glacial crustal subsidence of these sites over the course of the anomalously long interglacial. On the basis of this correction, we estimate that eustatic sea level rose to 6–13 m above the present-day value during the second half of MIS 11. This suggests that both the Greenland Ice Sheet and the West Antarctic Ice Sheet collapsed during the protracted warm period while changes in the volume of the East Antarctic Ice Sheet were relatively minor. O’Leary, M., P. Hearty, W. Thompson, M. E. Raymo, J. Mitrovica, and J. Webster, 2013, Ice sheet collapse following a period of stable eustatic sea level during MIS5e, Nature Geoscience, doi:10.1038/ngeo1890. Although the glacial-interglacial cycles of the past 3 Ma represent some of the largest and most studied climate variations of the past, the physical mechanisms driving these cycles are not well understood. For the past thirty years, the prevalent theory has been that fluctuations in global ice volume are caused by variations in the amount of insolation received at critical latitudes and seasons due to variations in the Earth’s precession, obliquity and eccentricity. Based mainly on climate proxy records from the last 0.5 Ma, but also supported by climate model results, a scientific consensus has emerged that variations in ice volume at precession (~23 kyr) and obliquity (41 kyr) frequencies are directly forced and coherent with northern summer insolation while the ~100 kyr eccentricity component of the ice age climate cycle results from non-linear amplification mechanisms possibly phase-locked to summer insolation variations (e.g., Imbrie et al., 1992, 1993; Raymo, 1997; Tziperman et al., 2006; Abe-Ouchi et al., 2013). In the Late Pliocene/early Pleistocene (LP/EP) interval from ~3-1 Ma only weak variance at 100 kyr and 23 kyr periods is observed in proxy ice volume records such as benthic δ18O (Raymo et al., 1989; Lisiecki and Raymo, 2007). Instead, the records are dominated by 41 kyr cyclicity, the primary obliquity period. As the canonical Milankovitch model predicts that global ice volume is forced by high northern summer insolation, which at nearly all latitudes is dominated by the 23 kyr precession period, why then do we not observe a strong precession signal in LP/EP ice volume records? The lack of such a signal and the dominance of obliquity have defied understanding; most ice sheet models have been unable to reproduce the observed spectral characteristics of the LP/EP ice volume record. In 2002, we began investigating whether variations in the insolation gradient between high and low latitudes could exert a dominant influence on high latitude climate and ice volume during the LP/EP (Raymo and Nisancioglu, 2003). The differential heating between high and low latitudes, influenced by obliquity, controls the atmospheric meridional flux of heat and moisture. In the 2-D zonal energy balance models typically used to study the long-term evolution of climate, the meridional atmospheric moisture flux was usually kept fixed. Nisancioglu (2004) constructed a simple process model that explicitly included these transports and their interactions with an ice sheet thus allowing us to test the influence of insolation gradient changes on ice sheet growth and ablation. However, while the improved meridional transports led to an increase in 41kyr power in modeled ice volume (mainly through changes in accumulation), ablation (and therefore also ice volume) remained highly sensitive to summer heating and hence precession. Thus, while insolation gradients may exert a strong influence on meridional energy transport, and thus possibly the strength of low and mid latitude wind systems, this influence does not appear to explain the dominance of 41kyr periodicity observed in δ18O. W then used simple models of ice volume change (e.g., Imbrie and Imbrie, 1980), to explore another explanation for the “41 kyr world”. The critical difference between our new experiments and previous attempts to model LP/EP ice volume is that we allow for a more dynamic Antarctic ice sheet. Raymo et al. (2006) propose that from ~3 to 1 Ma ice volume changes occurred in both the northern and southern hemispheres, each controlled by local summer insolation. Our modeled ice sheets are thus dominated by precession due to the dependence of ablation on summer temperatures. However, because Earth’s orbital precession is out of phase between hemispheres, 23 kyr changes in ice volume in each hemisphere cancel in globally integrated proxies such as ocean δ18O or sea level leaving the in-phase obliquity (41 kyr) component of insolation to dominate the record. Only a modest ice mass change in Antarctica is required to “cancel” a much larger northern ice volume signal. 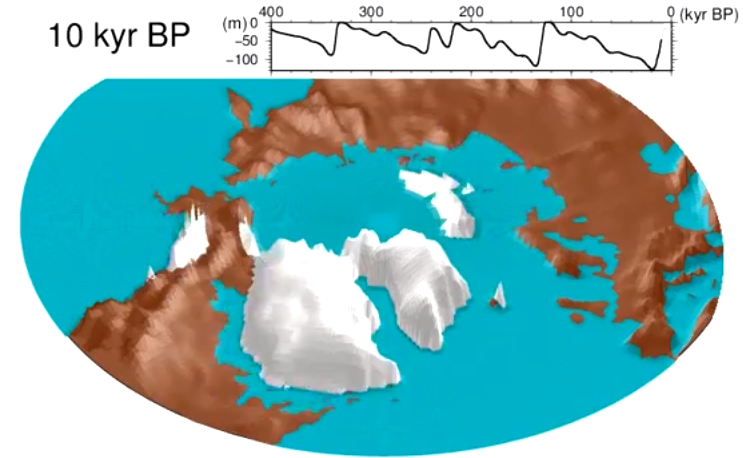 At the Mid-Pleistocene Transition, we proposed that marine-based ice sheet margins replaced terrestrial ice margins around the perimeter of East Antarctica resulting in a shift to “in-phase” behavior of northern and southern ice sheets as well as the strengthening of 23 kyr cyclicity in the marine δ18O record. It has long been recognized that the 100-kyr cycle cannot be explained as a linear response to eccentricity. Raymo (1997) suggested that the 100-kyr cycle is caused by the periodic buildup of large ice sheets during times of unusually low summer insolation maxima that occur roughly every 100,000 years as dictated by the modulation of precession by eccentricity (see also Ridgwell, Watson, and Raymo, 1999 and Raymo, Science 1998). This idea that the 100Kyr cycle of the late Pleistocene is composed of “bundles” of four or five precession cycles finds support in the chronology Kenji Kawamura has produced for the Dome Fuji and Vostok ice cores based on the O2/N2 ratio of trapped air that records local summer insolation. These records provide an accurate chronology of Antarctic climate for the past 360,000 years, covering the last four terminations, and suggest that the timing of rapid Antarctic warming at terminations falls within the rising phase of June 21 insolation at 65N. Precession pacing is statistically more significant than obliquity pacing for the last five terminations consistent with the hypothesis that high northern latitude summer insolation is the primary pacemaker of the late Pleistocene glacial cycles. In a new study in Nature, we show that variations in sunlight interact with Earth’s topography and the size of ice sheets to control the 100,000 year glacial cycles. Watch the northern ice sheets grow and shrink over the last 400,000 years in an animation produced by the study’s lead author, Ayako Abe-Ouchi, a climate scientist at the University of Tokyo. The ice gets bigger and smaller depending on the amount of carbon dioxide in the air, the amount of sunlight falling on the northern hemisphere and the internal feedbacks described in the study. Abe-Ouchi, A., F. Saito, K. Kawamura, M. E. Raymo, J. Okuno, K. Takahashi, and H. Blatter, 2013, 100-kyr glacial cycles from ice sheet-climate system with hysteresis driven by insolation, Nature, v. 500, p. 190-193. Raymo, M. E. and P. Huybers, 2008, Unlocking the mysteries of the Ice Ages, Nature, v. 451, p. 284-285. Kawamura, K., F. Parrenin, L. Lisiecki, R. Uemura, F. Vimeux, J. P. Severinghaus, M. A. Hutterli, T. Nakazawa, S. Aoki, J. Jouzel, M. E. Raymo, K. Matsumoto, H. Nakata, H. Motoyama, S. Fujita, K. Goto-Azuma, Y. Fujii, and O. Watanabe, 2007, Northern Hemisphere forcing of climatic cycles in Antarctica over the past 360,000 years, Nature, v. 448, p. 912-917, doi:10.1038/nature06015. Lisiecki, L., and M. E. Raymo, 2007, Plio-Pleistocene climate evolution: trends in obliquity and precession responses, Quat. Sci. Revs, v. 26, p. 56-69. Raymo, M. E., L. E. Lisiecki, and K. H. Nisancioglu, 2006, Plio-Pleistocene ice volume, Antarctic climate and the global δ18O record, Science, v. 313, p. 492, doi: 10.1126/science.1123296. You can download this paper using link on Publications page. 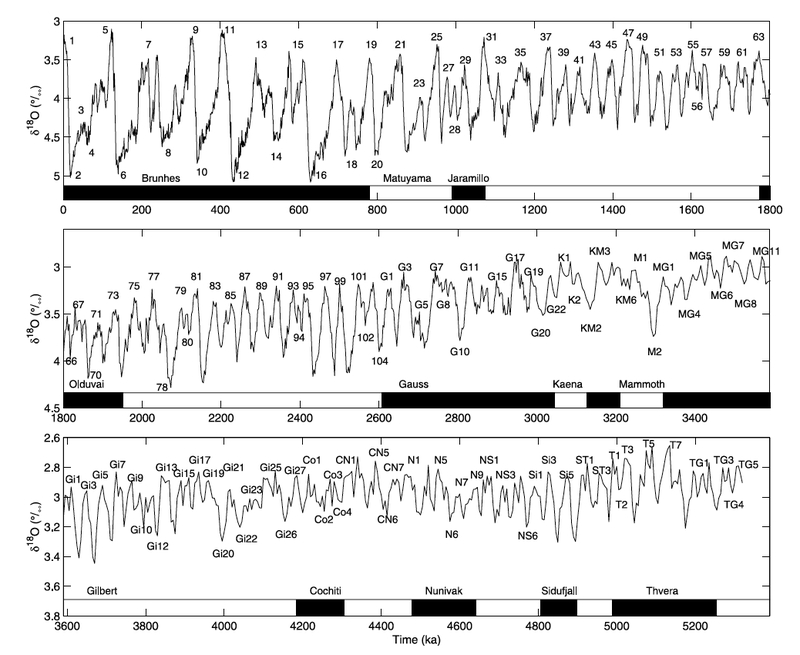 Tziperman, E., M. E. Raymo, P. Huybers, and C. Wunsch, 2006, Consequences of pacing the Pleistocene 100 kyr ice ages by nonlinear phase locking to Milankovitch forcing, Paleoceanography, v. 21, PA4206, doi:10.1029/2005PA001241. Raymo, M.E. and K.H. Nisancioglu, 2003, The 41 Kyr world: Milankovitch’s other unsolved mystery, Paleoceanography, v. 18, 10.1029/2002PA000791. Ridgwell, A.J., A.J. Watson, and M. E. Raymo, 1999, Is the spectral signature of the 100 kyr glacial cycle consistent with a Milankovitch origin? Paleoceanography, v. 14, p. 437-440. Raymo, M. E., 1998, Glacial Puzzles (Perspective). Science, v. 281, p. 1467-1468. Raymo, M.E., D.W. Oppo, and W. Curry, 1997, The mid-Pleistocene climate transition: a deep sea carbon isotope perspective. Paleoceanography, v. 12, p. 546-559. Raymo, M.E., 1997, The timing of major climate terminations. Paleoceanography, v. 12, p. 577-585. Imbrie, J., A. Berger, E.A. Boyle, S.C. Clemens, A. Duffy, W.R. Howard, G. Kukla, J. Kutzbach, D.G. Martinson, A. McIntyre, A.C. Mix, B. Molfino, J.J. Morley, L.C. Peterson, N.G. Pisias, W.L. Prell, M.E. Raymo, N.J. Shackleton, and J.R. Toggweiler, 1993, On the Structure and Origin of major glaciation cycles. 2. The 100,000-year cycle. Paleoceanography, v. 8, p. 699-736. Imbrie, J., E.A. Boyle, S.C. Clemens, A. Duffy, W.R. Howard, G. Kukla, J. Kutzbach, D.G. Martinson, A. McIntyre, A.C. Mix, B. Molfino, J.J. Morley, L.C. Peterson, N.G. Pisias, W.L. Prell, M.E. Raymo, N.J. Shackleton, and J.R. Toggweiler, 1992, On the structure and origin of major glaciation cycles. 1. Linear responses to Milankovitch forcing. Paleoceanography, v. 7, p. 701-738. Raymo, M.E., 1992, Global climate change: a three million year perspective. In: Kukla, G. and Went, E. (eds. ), Start of a Glacial, Proceedings of the Mallorca NATO ARW, NATO ASI Series I, Vol. 3, Springer-Verlag, Heidelberg, p. 207-223. Raymo, M.E., W.F. Ruddiman, J. Backman, B.M. Clement, and D.G. Martinson, 1989, Late Pliocene variation in Northern Hemisphere ice sheets and North Atlantic deep circulation. Paleoceanography, v. 4, p. 413-446. A major uncertainty concerning future climate change is the response of ocean thermohaline circulation to the redistribution of heat and moisture at the Earth’s surface. Climate models predict that enhanced temperatures and runoff in the Arctic-North Atlantic region could reduce sea ice cover and impact deep water convection in the Norwegian-Greenland Sea (NGS) region, changes that could have far-reaching effects on regional and global ocean circulation and climate (e.g., Raymo, Rind and Ruddiman, 1990). Today, between 5 and 6 Sv of deep water flows over the sills east and west of Iceland and entrains a further 7-8 Sv of intermediate depth water just south of the sills. These overflows thus form the greatest volumetric component of North Atlantic Deep Water. Locations of DSDP and ODP cores used in Raymo et al. with paths of major deep water flows indicated by arrows. During the last glacial period, convection in the NGS region is thought to have been greatly reduced by the freshening of surface water due to glacial runoff. Correspondingly, the volume of NADW produced decreased, offset partially by intermediate water formation in the subpolar North Atlantic south of Iceland. Using a suite of DSDP and ODP cores we examined much longer geochemical records from the North Atlantic Ocean. These data suggest that the vertical δ13C structure of the water column at intermediate depths did not change significantly between glacial and interglacial time over much of the Pleistocene, despite large changes in ice volume and iceberg delivery from nearby landmasses. Raymo et al. suggest that, unlike today (an extreme interglaciation), the two primary sources of northern deep water, Norwegian-Greenland Sea and Labrador Sea/subpolar North Atlantic, may have had different characteristic δ13C values over most of the Pleistocene. We speculate that the current open sea ice conditions in the Norwegian-Greenland Sea are a relatively rare occurrence and that the high δ13C deep water that forms in this region today is geologically unusual. If northern source deep waters can have highly variable δ13C, then this likelihood must be considered when inferring past circulation changes from benthic δ13C records. Lisiecki, L. and M. E. Raymo, 2009, Diachronous benthic δ18O responses during late Pleistocene terminations, Paleaoceanography, v. 24, PA3210, doi:10.1029/2009PA001732. Lisiecki, L., M. E. Raymo, and W. B. Curry, 2008, Atlantic overturning responses to climate forcing in the late Pleistocene, Nature, v. 456. p. 85-88, doi:10.1038/nature07425. Raymo, M.E., D.W. Oppo, B.P. Flower, D.A. Hodell, J. McManus, K.A. Venz, K.F. Kleiven, K. McIntyre, 2004, Stability of North Atlantic water masses in face of pronounced climate variability during the Pleistocene, Paleoceanography, v. 19, PA2008, doi:10.1029/2003PA000921. Raymo, M.E., B. Grant, M. Horowitz, and G. H. Rau, 1996, Mid Pliocene warmth: stronger greenhouse and stronger conveyor. Marine Micropaleontology, v. 27, p. 313-326. Dwyer, G. S., T. Cronin, P. Baker, M.E. Raymo, H. Dowsett, and T. Correge, 1995, North Atlantic deep water temperature evolution during late Pliocene and late Quaternary climatic cycles. Science, v. 270, p. 1347-1351. Oppo, D. W., M. E. Raymo, G. P. Lohmann, A. C. Mix, J. D. Wright, and W. B. Prell, 1995, A δ13C record of Upper North Atlantic Deep Water During the Past 2.6 myrs. Paleoceanography, v. 10, p. 373-394. Raymo, M.E., D. Hodell, and E. Jansen, 1992, Response of deep ocean circulation to the initiation of northern hemisphere glaciation (3-2 M.Y.). Paleoceanography, v. 7, p. 645-672. Raymo, M.E., W.F. Ruddiman, and D. Rind, 1990, Climatic effects of reduced Arctic sea ice limits in the GISS-II GCM. Paleoceanography, v. 5, p. 367-382. Raymo, M.E., W.F. Ruddiman, N.J. Shackleton, and D. Oppo, 1990, Evolution of Atlantic-Pacific d13C gradients over the last 2.5 m.y., Earth and Planetary Science Letters, v. 97, p. 353-368. Raymo, M.E., W.F. Ruddiman, J. Backman, B.M. Clement, and D.G. Martinson, 1989, Late Pliocene variation in Northern Hemisphere ice sheets and North Atlantic deep circulation, Paleoceanography, v. 4, p. 413-446. High sedimentation rate cores spanning late Pleistocene glacial cycles show that the Earth’s climate has varied significantly and continuously on time scales as short as a few thousand years. Using proxy records from the early Pleistocene and late Pliocene, we have investigated whether such millennial-scale oscillations in climate occur under significantly different climate boundary conditions; specifically, during generally warmer climates. Using cores recovered on ODP Leg 162, Raymo et al. (1998) documented the first early Pleistocene evidence for millennial-scale climate variability in proxy records of iceberg discharge and deep water chemistry and suggested that such variability may be a pervasive and long-term characteristic of Earth’s climate. Over an 80-kyr interval of the mid-Pliocene “climatic optimum”, when climate was warmer and global ice volume was less than today, Draut et al. (2003) showed that the amplitude and approximate recurrence interval of sub-orbital variations was comparable to those of Holocene and Marine Isotope Stage 11 (MIS 11) records. We conclude that, like the Holocene, the mid-Pliocene warm interval was a time of relative climatic stability—conditions warmer than today do not necessarily enhance millennial-scale variability in the climate system. Becker, J., L.J. Lourens and M.E. 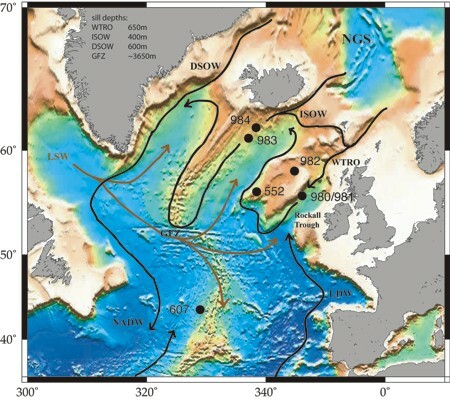 Raymo, 2006, High-frequency climate linkages between the North Atlantic and the Mediterranean during marine oxygen isotope stage 100 (MIS100), Paleoceanography, v. 21, PA3002, doi:10.1029/2005PA001168. Draut, A., M.E. Raymo, J. McManus, and D.W. Oppo, 2003, Climate stability during the Pliocene warm period, Paleoceanography, v. 18, No. 4, 1078, DOI 10.1029/2003PA000889. Raymo, M.E., K. Ganley, S. Carter, D. W. Oppo, J. McManus, 1998, Millennial-scale climate instability during the early Pleistocene epoch. Nature, v. 392, p. 699-702. In 2005 Lisiecki & Raymo published a 5.3 m.y. long oxygen isotope stack composed of 57 globally distributed benthic δ18O records which had been graphically aligned and orbitally-tuned to produce the best stratigraphic depiction of global ice volume/temperature history of deep ocean over the Plio-Pleistocene. 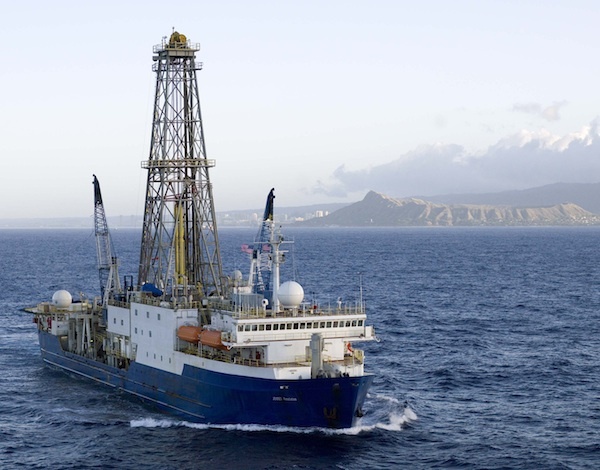 From Lorraine’s web site: “Paleoclimate research has recently produced an explosion of new paleoclimate time series, but fully utilizing the acquired data requires coordinated analysis of globally distributed records. The LR04 stack and its age model provide the paleoclimate community with an important stratigraphic tool, which could be used to facilitate comparison of widely distributed marine climate records.” The stack also provided a revised identification and numbering of early Pliocene marine isotope stages. The stack data can be found here along with a table for conversion between this and earlier age models. The programs Lorraine developed to generate the stack can be found here along with Lorraine’s composite depth software. Lawrence, K. T., I. Bailey, and M. E. Raymo, 2013, Re-evaluation of the age model for North Atlantic Ocean Site 982 – arguments for a return to the original chronology, Climates of the Past, v. 9, p. 2217-2233. Lisiecki, L.E. and M.E. Raymo, 2005, A Plio-Pleistocene stack of 57 globally distributed benthic d180 records, Paleoceanography, 20, PA1003, doi:10.1029/2004PA001071. Ruddiman, W.F., and M.E. Raymo, 2003, A methane-based time scale for Vostok ice, Quaternary Science Reviews, v. 22, p. 141-155. Channell, J.E.T., J. Labs, and M.E. Raymo, 2003, The Reunion subchronozone at ODP Site 981 (Feni Drift, North Atlantic), Earth Planetary Science Letters, v. 215, p. 1-12. Channell, J.E.T. 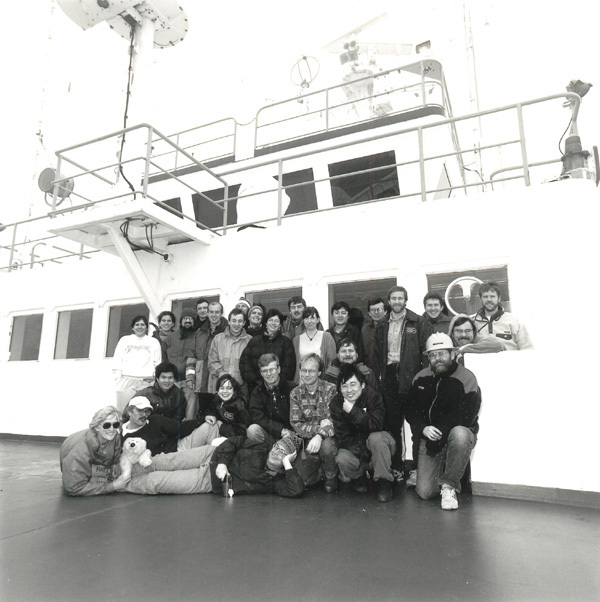 and M.E Raymo, 2003, Paleomagnetic record at ODP Site 980 (Feni Drift, Rockall) for last 1.2 Myrs, Geochemistry, Geophysics, Geosystems, v. 4, DOI 10.1029/2002GC000440. Channell, J.E.T., A. Mazaud, P. Sullivan, S. Turner, and M. E. Raymo, 2002, Geomagnetic excursions and paleointensities in the Matuyama Chron at ODP Sites 983 and 984 (Iceland Basin), J. of Geophysical Research, v. 107, 10.1029/2001JB000491. Hodell, D., J. Curtis, F. Sierro, and M. E. Raymo, 2001, Correlation of Late Miocene-to-early Pliocene sequences between the Mediterranean and North Atlantic. Paleoceanography, v. 16, p. 164-178. Raymo, M.E. and M. Horowitz, 1996, Organic carbon paleo-pCO2 and marine-ice core correlations and chronology. Geophys. Res. Letts., v. 23, p. 367-370. Berggren, W., F. Hilgen, C. Langereis, D. Kent, J. Obradovich, I. Raffi, M.E. Raymo and N.J. Shackleton, 1995, Late Neogene chronology: New perspectives in high resolution stratigraphy. Geol. Soc. Amer. Bull., v. 107, p. 1272-1287. Weaver, P.P.E., J. Backman, J.G. Baldauf, J. Bloemendal, H. Manivit, E.M. Pokras, M.E. Raymo, L. Tauxe, J-P. Valet, A. Cheptow-Lusty, and G. Olafsson, 1989, Biostratigraphic synthesis, Leg 108, eastern equatorial Atlantic. Proceedings of the Ocean Drilling Program, (Part B), v. 108, p. 455-462. In 1988, Raymo, Ruddiman, and Froelich published the first of an eventual series of papers (listed below) proposing that the late Cenozoic cooling of climate, the Ice Age, was caused by enhanced chemical weathering and consumption of atmospheric CO2 in the mountainous regions of the world, in particular the Himalayas. About 40 to 50 million years ago, the Indian subcontinent collided with the underside of Asia. This collision, which continues to this day, resulted in the uplift of the Himalayas and the formation of the Tibetan Plateau, the largest geographic feature on the Earth’s surface (above sea level). The uplift of the plateau would likely have intensified the Asian monsoon (see a series of papers by Ruddiman and Kutzbach) and this rainfall, combined with the steep relief and high mechanical erosion rates in the Himalayas, may have resulted in dramatically higher chemical weathering rates in the region. It is these chemical weathering reactions that, over 40 million years, would have consumed atmospheric CO2 thus weakening the global greenhouse effect and leading to the growth of continent-spanning ice sheets at both poles. Raymo et al. (1988) originally proposed that the marine strontium isotope record showed that chemical weathering rates had increased over the Cenozoic, but by 1992 this record was shown to be ambiguous and hence not suitable for testing the hypothesis. A major criticism of the hypothesis was that chemical weathering rates on land could not increase in the absence of enhanced metamorphic delivery of CO2 to the atmosphere (for which there is no evidence), otherwise CO2 would be completely stripped from the atmosphere within a few hundred thousand years and the Earth would become a frozen “snowball” planet. We agreed that a negative feedback was needed to stabilize atmospheric CO2 levels and argued that this feedback may have operated through the organic carbon subcycle [Raymo & Ruddiman, 1992]. In the last decade, many new paleo-CO2 and silicate weathering proxies have been developed, along with high-resolution geochemical records of the last 60 Ma. These records enrich the debate considerably and many also provide support for the uplift-weathering hypothesis. One of the most interesting recent papers is Li & Elderfield [Geochim. Cosmo. Acta, 103, p.11-15, 2013] which proposes a negative feedback that operates through island basalt weathering. A book “Tectonic Uplift and Climate Change“, edited by Bill Ruddiman, is aimed at scientists and graduate students and contains many interesting and useful papers. PBS NOVA made a documentary about our work. If you’d like a DVD copy of “Cracking the Ice Age” send me an email. Paterson, D. (1993) “Did Tibet cool the world?” New Scientist. v. 139 No. 1880, pp 29-33. Wilson, J. (1999) “The Big Chill Solved: the mystery of the first ice age”, Popular Mechanics. Watson, T. (1997) “What Causes Ice Ages?”, U.S. News and World Report, August 18. Raymo, M.E., W.F. Ruddiman, and P.N. Froelich (1988) Influence of late Cenozoic mountain building on ocean geochemical cycles. Geology, v. 16, p. 649-653. Raymo, M.E. (1991) Geochemical evidence supporting T.C. Chamberlin’s theory of glaciation. Geology, v. 19, p. 344-347. Raymo, M.E. and W.F. Ruddiman (1992) Tectonic forcing of late Cenozoic climate. Nature, v. 359, p. 117-122. Raymo, M.E. and W.F. Ruddiman (1993) Cooling in the late Cenozoic-Scientific Correspondence. Nature, v. 361, p. 123-124. Raymo, M.E. (1994) The initiation of Northern Hemisphere glaciation. Annual Reviews of Earth and Planetary Science, v. 22, p. 353-383. Raymo, M.E. 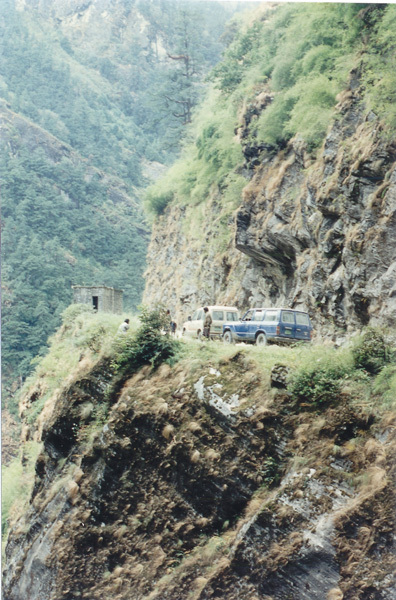 (1994) The Himalayas, organic carbon burial, and climate in the Miocene. Paleoceanography, v. 9, p. 399-404. Raymo, M.E. (1997) Carbon cycle models: how strong are the constraints? In: Global Tectonics and Climate Change (eds. W.F. Ruddiman and W. Prell), Plenum Press, p. 368-382. Ruddiman, W.F., M.E. Raymo, W. Prell, and J.E. Kutzbach (1997) The uplift-climate connection: a synthesis. In: Global Tectonics and Climate Change (eds. W.F. Ruddiman and W. Prell), Plenum Press, p. 471-515. Unraveling the dynamics of the Northern Hemisphere glaciation (NHG) in the late Pliocene is necessary if we are to understand the climate transition from a greenhouse to an icehouse world. Extracting the ice volume signal from marine oxygen isotope (δ18O) records corrupted with “temperature noise” can be accomplished using statistical time series analysis. Mudelsee and Raymo  use 45 δ18O records from benthic and planktonic foraminifera and globally distributed sites to reconstruct the dynamics of NHG initiation. We compare δ18O amplitudes with those of temperature proxy records and estimate a global ice volume-related increase of 0.4 per mil, equivalent to an overall sea level lowering of 43 m. We find the NHG started significantly earlier than previously assumed, as early as 3.6 Ma, and ended at 2.4 Ma. This long-term increase points to slow, tectonic forcing such as modification of ocean gateways or mountain building as the root cause of the NHG. Did the uplift of the Panamanian Isthmus in the Neogene influence ocean circulation and global climate? As part of an ongoing effort to reconstruct the Neogene history of thermohaline circulation, Nisancioglu et al. used the MIT Ocean General Circulation Model to test the response of ocean circulation to the shoaling of the Central American Isthmus that was probably occurring from the late Miocene through the late Pliocene (note that this is too early to be invoked as the cause of large-scale Northern Hemisphere glaciation observed after 2.9 Ma). We found that significant amounts of deep water formed in the North Atlantic prior to the closure of the Central American Seaway (CAS) although the circulation pattern contrasts with the modern ocean. In the upper layers of the CAS there is strong geostrophic flow from the Pacific to the Atlantic, controlled by the pressure difference across the seaway. At depth, a significant amount of NADW passes through the CAS to the deep Pacific traversing the basin from east to west in a relatively narrow zonal jet before becoming a southward flowing boundary current in the western Pacific (red arrows in figure below). This implies that Miocene sediment records from the western Pacific Ocean could have been influenced by relatively young NADW. Bailey, I., G. Hole, G. Foster, P. Wilson, C. Storey, C. Trueman, and M. E. Raymo, 2013, An alternative suggestion for the Pliocene onset of major northern hemisphere glaciation based on the geochemical provenance of North Atlantic Ocean ice-rafted debris. Quat. Sci. Rev, v. 75, p. 181-194. Lawrence, K. T., T. D. Herbert, C. M. Brown, M. E. Raymo, and A. M. Haywood, 2009, High amplitude variations in North Atlantic sea surface temperature during the early Pliocene warm period, Paleoceanography, v. 24, PA2218, doi:10.1029/2008PA001669. Mudelsee, M., and M.E. Raymo, 2005, Slow dynamics of the Northern Hemisphere Glaciation, Paleoceanography, 20, PA4022, doi:10.1029/2005PA001153. Nisancioglu, K. H., M. E. Raymo, and P. H. Stone, 2003, Reorganization of Miocene Deep Water Circulation in response to the shoaling of the Central American Seaway, Paleoceanography, v. 18, DOI 10.1029/2002PA000767. Raymo, M.E., 1994, The initiation of Northern Hemisphere glaciation. Annual Reviews of Earth and Planetary Science, v. 22, p. 353-383. Ocean Drilling Program Leg 162 sailed in the summer of 1995. The sites south of Iceland, 980-984, were proposed a few years earlier by Delia Oppo and Maureen Raymo. Delia, Gerard Bond, and others had demonstrated that high-resolution sedimentary sections could be found in piston cores in the open North Atlantic and that millennial-scale correlations could be made to Greenland ice core records. The Leg 162 cores provided the first opportunity to study the long-term evolution of sub-Milankovitch climate variability in the North Atlantic, from the pre-glacial Pliocene to today.